Not all birds make nests out of plant material and feathers. The Fairy Martin, a small bird species (~12 cm and 11g) in the same family as swallows, make their bottle-shaped nests with up to 1000 tiny pellets of mud or clay. 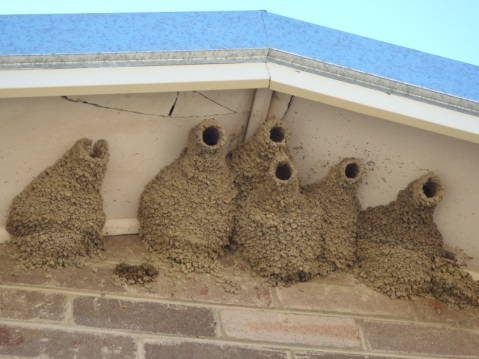 They nest colonially on cliffs, under bridges or culverts, or in this case, under the eave of a heritage building in the Brickpit, with mud taken from nearby ponds. The Fairy Martin prefers open country near water, and can be seen feeding on flying insects over water in large flocks. 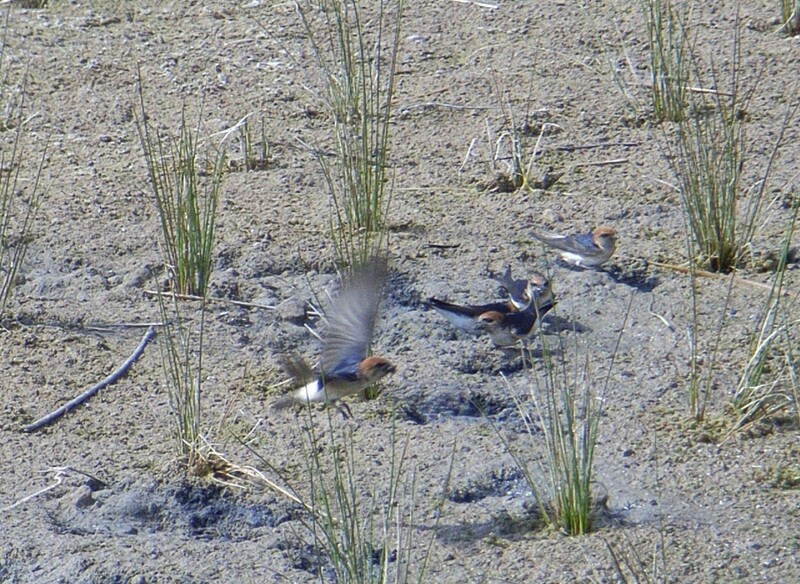 It can be distinguished from the Welcome Swallow, another common aerial hunter over open water, by the presence of a white rump, and shorter, squared tail in contrast to the long forked tail of the swallow. The Fairy Martin is found across Australia.